Not to be confused with Washington County, North Carolina. "Heart of the Inner Banks"
Washington, commonly known as The Original Washington or Little Washington (to distinguish it from Washington, D.C. ), is a city in Beaufort County, North Carolina, United States, located on the northern bank of the Pamlico River. The population was 9,744 at the 2010 census. It is the county seat of Beaufort County. The closest major city is Greenville,  approximately 20 miles (32 km) to the west. Washington was attacked by the Union Army during the American Civil War, until shelling by Confederates ships from the Tar River forced the Union soldiers out. Both Union and Confederate soldiers burned many buildings as they retreated. As of the census  of 2010, there were 9,744 people and 4,246 households in the city. The population density was 1,190.0 people per square mile (459.4/km²). There were 4,754 housing units at an average density of 580.5 per square mile (224.1/km²). The racial composition of the city was: 49.0% White, 45.50% Black or African American, 5.5% Hispanic or Latino American, 0.5% Asian American, 0.2% Native American, 0.1% Native Hawaiian or Other Pacific Islander, and 1.50% two or more races. There were 4,754 households out of which 22.5% had children under the age of 18 living with them, 37.3% were married couples living together, 21.1% had a female householder with no husband present, and 37.8% were non-families. 33.5% of all households were made up of individuals and 15.3% had someone living alone who was 65 years of age or older. The average household size was 2.21 and the average family size was 2.93. In the city, the age distribution of the population shows 24.7% under the age of 18, 8.6% from 18 to 24, 24.5% from 25 to 44, 22.6% from 45 to 64, and 19.6% who were 65 years of age or older. The median age was 40 years. For every 100 females, there were 77.4 males. For every 100 females age 18 and over, there were 70.8 males. The median income for a household in the city was $22,057, and the median income for a family was $30,280. Males had a median income of $26,053 versus $21,641 for females. The per capita income for the city was $14,319. About 23.3% of families and 28.7% of the population were below the poverty line, including 42.8% of those under age 18 and 19.3% of those age 65 or over. U.S. Route 264, dubbed Pactolus Highway, runs roughly east–west through Washington, following John Small Avenue and Fifth Street. U.S. Route 17 runs roughly north–south, following Carolina Avenue and North Bridge Street. South of Washington the road crosses the Pamlico River over the Pamlico-Tar Bridge. N.C. Route 32 runs east–west through Washington, following River Road, Park Drive and 3rd Street. The road terminates at U.S. Route 17. The Washington Daily News is the local newspaper. As of September 2007, the Daily News had a circulation of 8,736 Monday through Saturday, and 8,969 on Sunday. The Daily News was awarded the Pulitzer Prize for Meritorious Public Service in 1990 for a series of stories concerning local water contamination, making it the smallest daily newspaper in history to win the coveted award. In 2009, the newspaper The Beaufort Observer went from a bi-monthly print publication to an online publication. Beaufort County Community College, located in Washington, publishes Life on the Pamlico, a digital magazine dedicated to preserving North Carolina's coastal heritage. The following radio stations are licensed to Washington and surrounding areas. This mid-sized rural town has been called the "Heart of the Inner Banks". It has a range of historical buildings and landmarks, with some dating back to colonial times and others of Victorian and Arts and Crafts design. A self-guided Historic Walking Tour allows visitors to explore the neighborhoods. A Farmer's and Artisan's Market is held regularly on the town's green areas on the waterfront. The Turnage Theatre, a restored historic vaudeville and movie theater, reopened in the downtown area in 2014 and hosts plays and other types of live entertainment. Between 1993 and 2017 a downtown music and art festival called "Music in the Streets" was held every third Friday during summer to attract people to downtown shops and restaurants. The Beaufort County Arts Council, founded in 1972, is located in the restored Atlantic Coastline Railroad Station. It offers cultural programs including an annual juried fine arts show, a holiday arts and crafts show, a student art show, year-round exhibitions in the adjacent Washington Civic Center gallery, a series of free public concerts, an annual art youth camp, workshops, lectures, and organized trips to cultural events throughout the region. A cannonball from the Union attack on Washington during the American Civil War is displayed in an attorney's office on Water Street, and many nearby towns also contain Civil War artifacts and museums. Civil War re-enacters meet in the outskirts of Washington every year. Josephus Daniels, Secretary of the Navy during World War I, and Ambassador to Mexico under President Franklin Delano Roosevelt's Administration. Susan Dimock, pioneer in American medicine and women's health. Studied at the University of Zurich in 1871, and practiced in Boston. Dominique Wilkins, was a nine-time NBA All-Star, and one of the best dunkers in NBA history, earning the nickname "The Human Highlight Film." In 2006, Wilkins was inducted into the Naismith Memorial Basketball Hall of Fame. ^ a b c "Frequently Asked Questions". City of Washington Official Website. Retrieved 30 January 2014. ^ "Geographic Identifiers: 2010 Demographic Profile Data (G001): Washington city, North Carolina". U.S. Census Bureau, American Factfinder. Retrieved February 5, 2014. ^ a b "Find a County". National Association of Counties. Retrieved 2011-06-07. ^ "History". City of Washington, North Carolina. Retrieved March 12, 2014. ^ a b "Washington, NC". Pamlico. Retrieved 5 August 2018. ^ Rumley, Vail Stewart (19 April 2018). "Historic walking tour a great way to experience Washington". Washington Daily News. Retrieved 5 August 2018. ^ "Arts of the Pamlico celebrates mortgage pay off on Turnage Theatre". WITN. 7 June 2018. Retrieved 5 August 2018. ^ Rumley, Vail Stewart (21 February 2017). "WHDA suspends Music in the Streets". Washington Daily News. Retrieved 5 August 2018. ^ "NOAA 1981-2010 Climate Normals". NOAA Regional Climate Centers. Retrieved 2018-01-19. 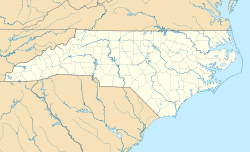 Wikimedia Commons has media related to Washington, North Carolina. "Washington. The county-seat of Beaufort County, N. C" . New International Encyclopedia. 1905.